The holidays aren't happy for everyone. 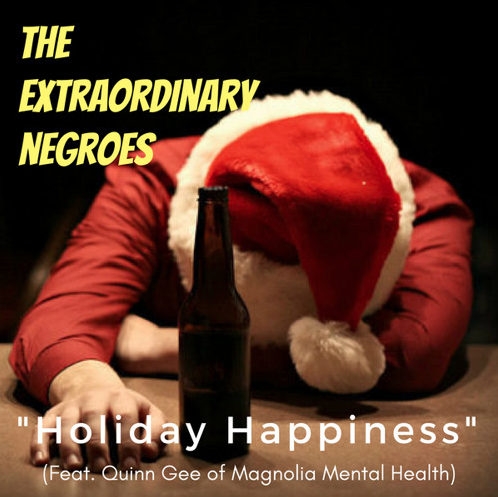 So we're joined by psychotherapist Quinn Gee of Magnolia Mental Health to discuss how factors like the winter weather, economic anxiety, and our current political climate adversely affect our mental health during the holidays, the importance of establishing healthy boundaries, and how to support your friends and family suffering from mental illness without losing yourself in the process. Additionally, Alex has fond memories of that LaFace Christmas album, the verdict is still out on if Jay has been naughty or nice, and CyHi's new album gets our seal of approval. Music courtesy of Little Ry Mu$!c.